UXLabs was founded by Tony Russell-Rose to provide user experience research and design services based on a solid foundation of scientific rigour and academic credibility. Tony has over 20 years of experience, most recently as Manager of User Experience at Endeca and editor of the Endeca UI Design Pattern Library, an online resource dedicated to best practice in the design of search and discovery experiences. Prior to this he was technical lead at Reuters, specialising in advanced user interfaces for information access and search. And before Reuters he was R&D group manager atCanon Research Centre Europe, where he led a team developing next generation information access products and services. Earlier professional experience includes a Royal Academy of Engineering fellowship at HP Labs and a Short-term Research Fellowship at BT Labs. His academic qualifications include a PhD in human-computer interaction, an MSc in cognitive psychology and a first degree in engineering, majoring in human factors. 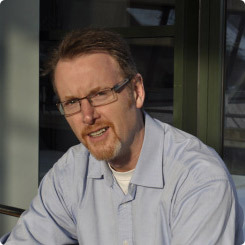 He has published some 80+ scientific papers on information retrieval, natural language processing and human-computer interaction, and is co-author of “Designing the Search Experience: the Information Architecture of Discovery“, published by Elsevier in 2013. He has served as vice-chair of the BCS Information Retrieval group and chair of the IEHF Human-Computer Interaction group. He currently holds the position of Royal Academy of Engineering Visiting Professor of Cognitive Computing at Essex University, and Honorary Visiting Fellow at the Centre for Interactive Systems Research, City University, London. Elisa del Galdo: Elisa has over 20 years of experience as a user experience practitioner, working in over 20 countries. She has worked both in industry and in industrial research as a researcher, designer and innovator. With particular expertise in internationalisation, localisation, speech user interfaces, and persuasive design, Elisa has a proven track record of developing, mentoring and inspiring user experience teams, as well as working with clients to ensure successful engagements. Jonathan Engel: Jonathan is the director and chief information architect at consultants InfoArk Limited. He has built content classification schemes for Reuters, Syngenta, the NHS and other UK government bodies. He is an innovator in linking classification schemes with automated tagging software, enterprise search engines and content filters for targeted content delivery. Jonathan regularly conducts workshops on information architecture, focusing on taxonomy design and enterprise search. Flax: Flax provides independent open source search, data ingestion, classification and taxonomy solutions for clients across a wide range of sectors including news, digital publishing, media monitoring, e-commerce, recruitment and government. Martin White: Martin is an intranet and information management strategy consultant and Managing Director of Intranet Focus Ltd. An information scientist by profession he has been a Visiting Professor at the Information School, the University of Sheffield since 2002. He was elected a Fellow of the Royal Society of Chemistry (RSC) in 2006 and serves as a member of the Publications Committee and the e-Content Delivery Committee of RSC. He is Chairman of the UK e-Information Group of the Chartered Institute of Library and Information Professionals, of which he is an Honorary Fellow.